The Upper Bay of Newport is a canyon, which was carved by a stream in the Pleistocene period. The lower bay of Newport was formed much later by sand that was brought along by ocean currents, which constructed the offshore beach that is now recognized as the Balboa Peninsula of Newport Beach. 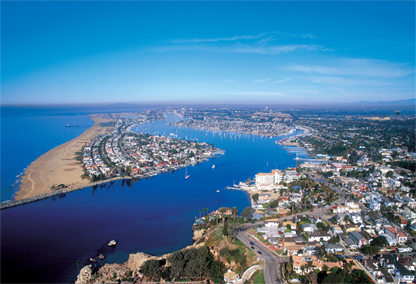 Before settlers reached the coasts of California, the Newport area and surrounding areas were very prominent Indian lands. Indian shells and relics can still be found today scattered throughout the area. Though, throughout the 1800s, settlers began to settle the area due to the availability of land.